Alika has become a powerful presence in the world of music. Her word testaments, accompanied by groovy reggae roots beats which keep audiences entranced in consistent heart-felt rhythms, are an exhilarating source of welcome inspiration. She reflects calm and her relaxed and friendly demeanor sets an enjoyable tone to her live performances. Her music keeps your body, and mind, in motion. Her words make you think about your role in the world, in that moment. Are you feeling love? Share it. Are you feeling negative? Let it go. 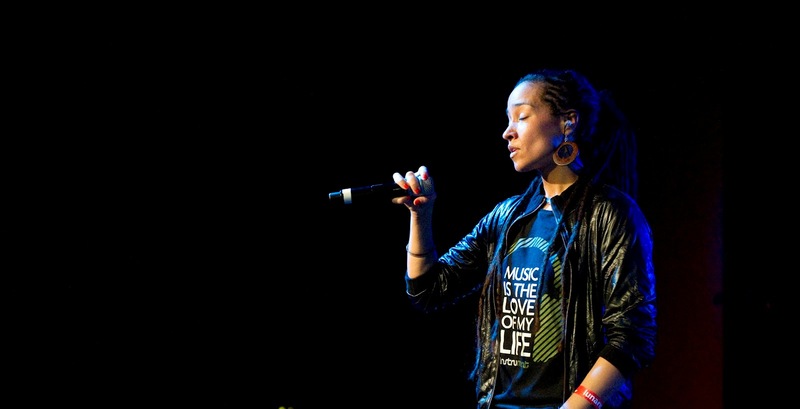 Alika performs mostly reggae roots and hip hop, always with a twist, but she also has a love for cumbia as showcased on several of her recordings. It’s an infectious combination of all kinds of hip-swaying rhythms, along with the necessary guiro/cowbell sazón with quirky electronic elements. It’s great that you immediately want to dance. This is Alika at her best, enjoying that she’s got you moving, while keeping you conscious through her carefully worded lyrics. Watch. Going back to her lyrics, again and again, we appreciate the power of her truth. She sings about our own power and how important it is to encourage and love each other. Dignity and equality are constants in her music. She sings about common struggles and our ability to overcome anything. Love is a foundation… so is education and seeking out the truth in every situation. The following audio mix (Unidad y Respecto Mixtape) reflects the history of Alika’s music along with soundbites about her music’s message. The singer-songwriter also uses her talent and knowledge for endeavors outside of music. She created a successful fashion line, Alika Tresde, as well as a line of eyewear for Vulk. And despite the success she continues to garner as her music spreads globally, she maintains her feet firmly on the ground. Through her music many young women have found peace of mind, a new sense of self-awareness, and an overall feeling of courage to face the world with pride. Alika will be performing at this year’s SXSW Music Festival in Austin, TX.